While the World Cup is an arena for tremendous athleticism, it also offers a reason to serve up some South American-inspired dishes at a rowdy gathering. While I watch USA, Mexico, Brazil, Uruguay (to name a few) pass and run with epic speed, agility, and incredible technique, I also look forward to stepping away to make some satiable bites. 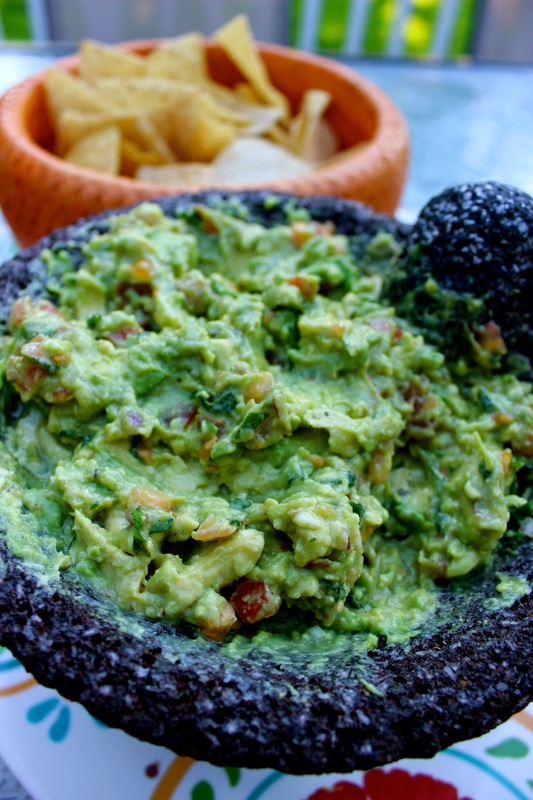 Breaking in my new molcajete, I whip up my go-to guacamole recipe with some blue corn tortilla chips. Alongside, I quickly pickle some red onions to place atop grilled steak tacos. Admittedly not a huge fan of raw red onion, the pickling brings out the sweetness and mellows the pungent bite. I pair the onions with cilantro, queso fresco, sliced steak, and a squeeze of lime. In between cheering and yelling, I arrange the tacos on large platters, so my guests can maintain focus on the game at hand. Place all ingredients in a bowl. Stir and let sit at room temperature for at least 1 hour. Heat grill to medium-high heat. Cook the steak, about three-five minutes on each side, depending upon your desired doneness. Once cooked, set aside. 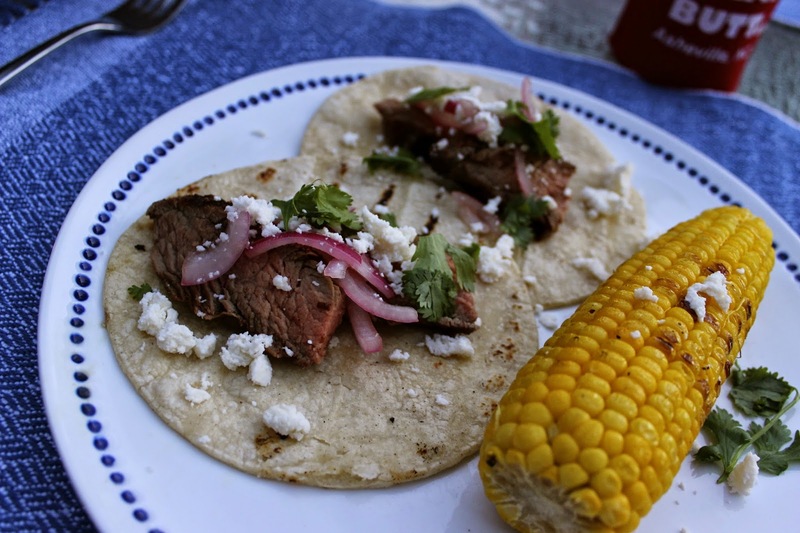 While the steak is resting, grill the corn tortillas for thirty seconds on each side. Slice the steak, and arrange a few pieces on each warmed tortilla. 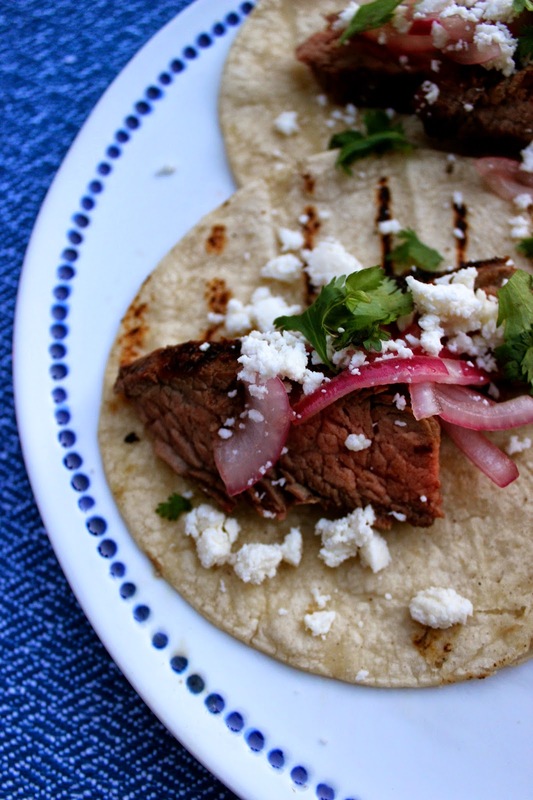 Sprinkle with cilantro, queso fresco, pickled red onion, and an added squeeze of lime. Take a bite and enjoy!